Home/Knowledge Base/Web Hosting/How to use Visitors feature in cPanel? 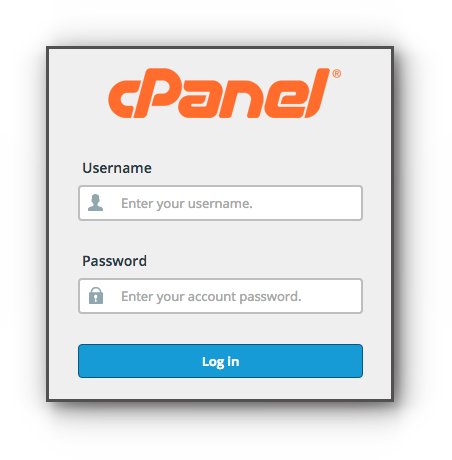 How to use Visitors feature in cPanel? 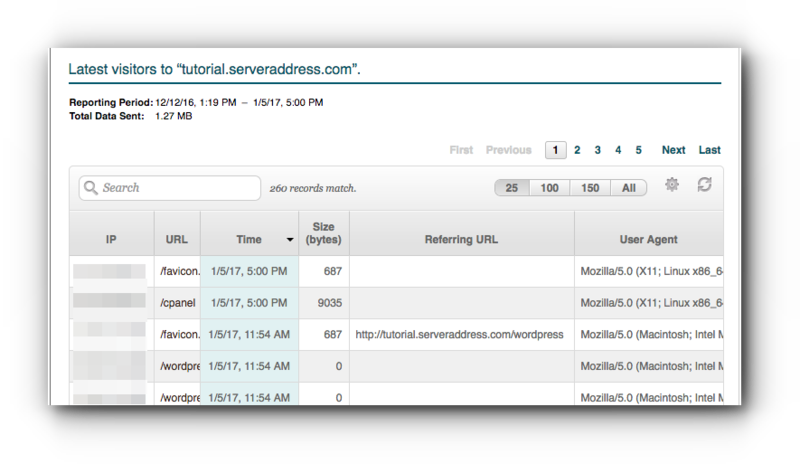 If you want to view a detailed information about the visits on your website, you may use the Visitors feature in your cPanel. Follow the instructions below on how to use it. Step 2. 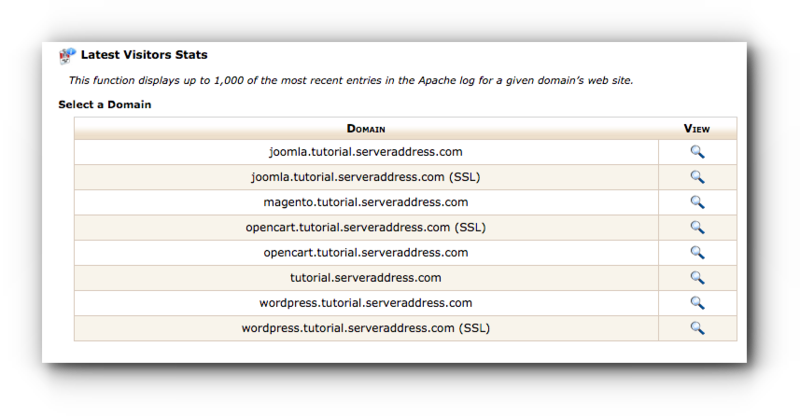 For VPS Hosting and above, click Latest Visitors under Logs panel. 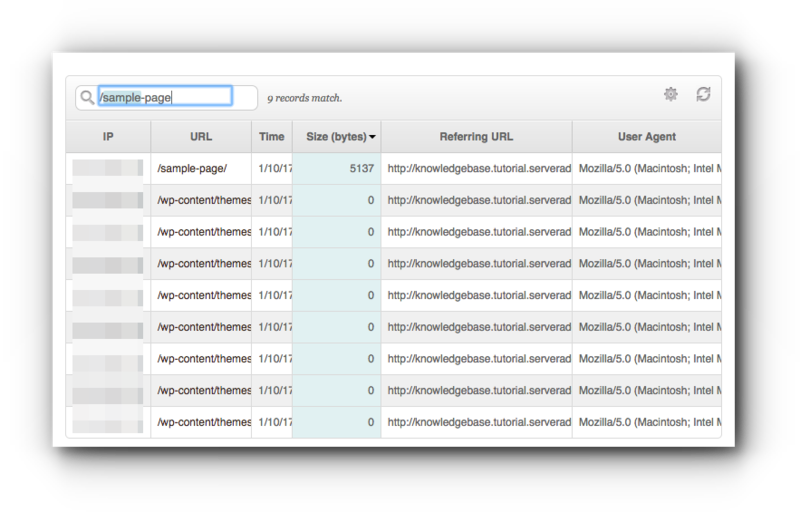 For Shared Hosting packages, click Visitors under Metrics panel. Step 3. Select on the domain name you want to view the visitors information by clicking on the magnifying glass next to it. Step 4. You will be redirected to a page that shows the IP, URL, Date and Time, Size, Referring URL, and User Agent. These are the details of the visits of your website. Step 5. You may also search for the visits of a specific URL. Make sure to use the URL or directory of the URL and not the domain name.